Obstacle Race Review | Getting Dirty with Laurie and Daniel - A Podcast about Obstacle Racing, Training, and Mud Runs. 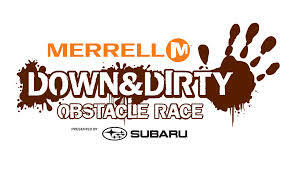 A sure sign of spring and the start of a new OCR season in Southern California is the return of the Merrell Down and Dirty Obstacle Race series. We attended the Down and Dirty Mud Run April 13, 2014. 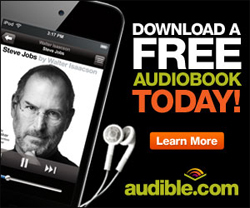 The event took place at Castaic Lake in northern Los Angeles County. This race draws a hug local crowd and offers such a great family atmosphere. Merrell Down and Dirty offered many race varieties including some new options that had not been offered before. 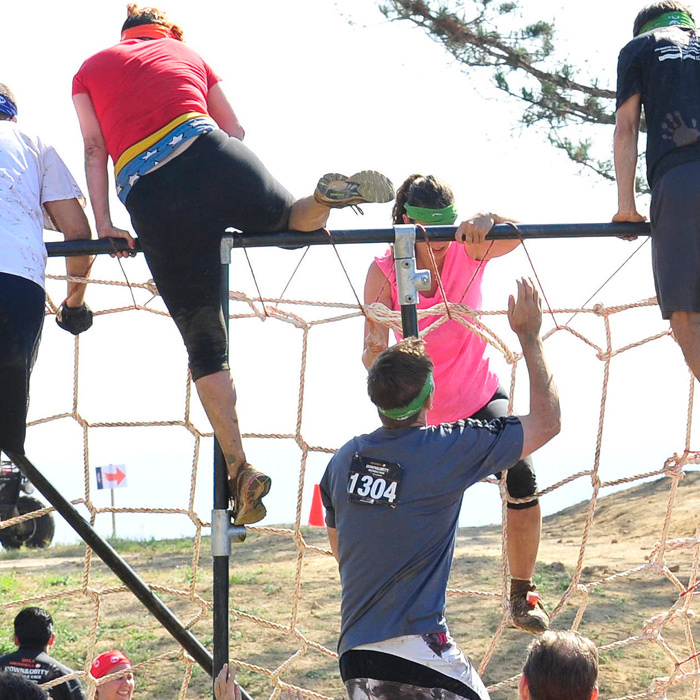 5K – This is a great course with lots of fun obstacles that will challenge any fitness level. 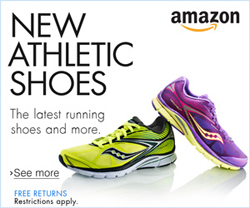 10K – Designed for those wanting more of a challenge. This course veers off from the 5K racers and offers more challenging terrain and some additional obstacles to conquer before meeting up again with the 5k course. Military & Public Safety Heat – Retired and active military and public safety personnel are honored with their own competitive heat. Brick Division – New for this year. The Brick division offers an extra challenge where each participant is required to carry additional weight in a backpack throughout the course for an additional challenge. Adventure Kids (4-6 years) 100 yard dash – Pint sized obstacles that finishes on the other side of a long mud pit. Adventure Kids (7-13 years) 1 mile race – Older kids can experience some of the same obstacles as the grown up including the famous mud pit crawl. The Heavy Hoist was a new addition for 2014. There were two different weighted cement blocks that had to be lifted up to the top of the pulley and the brought back down. This was something that offered a nice challenge to new racers. The Jungle Gym was another new obstacle we encountered this year. The cargo netting offered a challenging climb since the rope was not super tight on the structure. There was some give to the rope, so teamwork was the best way to get over this one. Other racers would pull down on the ropes so that it was easier to climb. And there was no shortage of cheers when a struggling racer made it over the top. This year I opted for the 3 mile course since I knew I would probably be sore from doing an adventure race the day before. The course was laid out similarly from previous years, but they added some additional obstacles that kept the race fresh and fun. The distance itself may not seem that challenging to seasoned obstacle racers, but the terrain is very challenging. The course starts off relatively flat as you make your way through the park setting. You get to go through a water obstacle, some hurdles and a cargo net climb. Once you make your way into the foothills you are greeted almost immediately by switchback trails that lead straight uphill! You quickly realize if your training was enough when you encounter these hills. This part of the course is very dry with no shade, so good hydration is important. 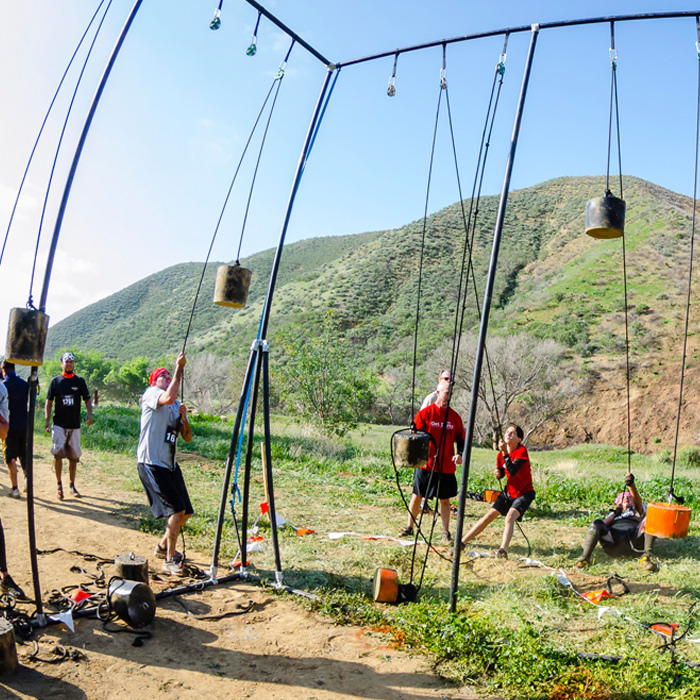 As you make your way up the foothills there was a sandbag carry and the new obstacle Heavy Hoist. Right around 1.5 miles you encounter what we like to call Heartbreak Hill. It is a ¼ mile section of packed dirt that seems to go straight up with no end in sight. The good news is that once you make it up this hill the rest of the course is downhill. And there is a water station on top that will be a great reward once you get up there. As you make your way down the hills you get some breathtaking views of Castaic Lake and Castaic Lake Dam. It seems that Merrell Down and Dirty saved the funnest obstacles for the second half of the course. They have a giant inflatable slide and several mud pits. In addition there is also a challenging rock wall climb and a slippery incline wall that you have to hoist yourself up using a rope. And of course, the final obstacle is the giant mud pit you get to crawl through before receiving your dog tag finisher medal. Two of our kids participated in the kids races and they look forward to them every year. Our youngest ran in the 100 yard dash. She was so excited to get all muddy at the end, and her only complaint was that she wished it was longer! Our oldest loved the one mile race and the opportunity to do some of the same obstacles the adults do. Her favorite obstacle was also the mud pit at the end. There is something about kids being encouraged to get dirty that gets them all excited! This year the Merrell Down and Dirty Mud Run has partnered with Operation Gratitude. This non-profit organization that sends 150,000+ care packages annually filled with snacks, entertainment, hygiene and hand-made items, plus personal letters of appreciation, to Veterans, First Responders, Wounded Warriors, Care Givers and to individually named U.S. Service Members deployed overseas. I have personally volunteered my time to Operation Gratitude and know what a great organization this is. 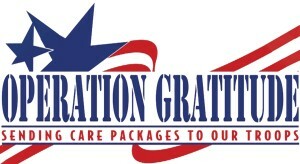 To find out more about Operation Gratitude please visit them at www.operationgratitude.com. We have been doing this race for the past three years and each year they have brought something new to the course. Their obstacles are top notch and very well built. There is always plenty of support throughout the course – from water stations to energetic volunteers to keep you motivated – this race has it all. This event is a must do when it comes to your town. Merrell Down and Dirty has perfected the formula for a great family-friendly OCR event that can be enjoyed by everyone. For more information on this event and registration visit www.downanddirtyobstaclerace.com .